The Kelly 42 is maximum storage defined, streamlining and un-cluttering your bathroom experience. The timeless shaker doors and rectangular sink give a semblance of transitionalism while multiple handles form a fell visage of muscular intensity. This stalwart vanity of incomparable practicality and solidity finds its full realization in a white finish of silent command. This handsome 43 inch integrated stone top is hand crafted from a dark gray granite. It features a clean and contemporary look. The seamless construction provides a minimalist look and easier maintenance compared to a top requiring an undermount sink. A classic look that will work with multiple vanity styles. 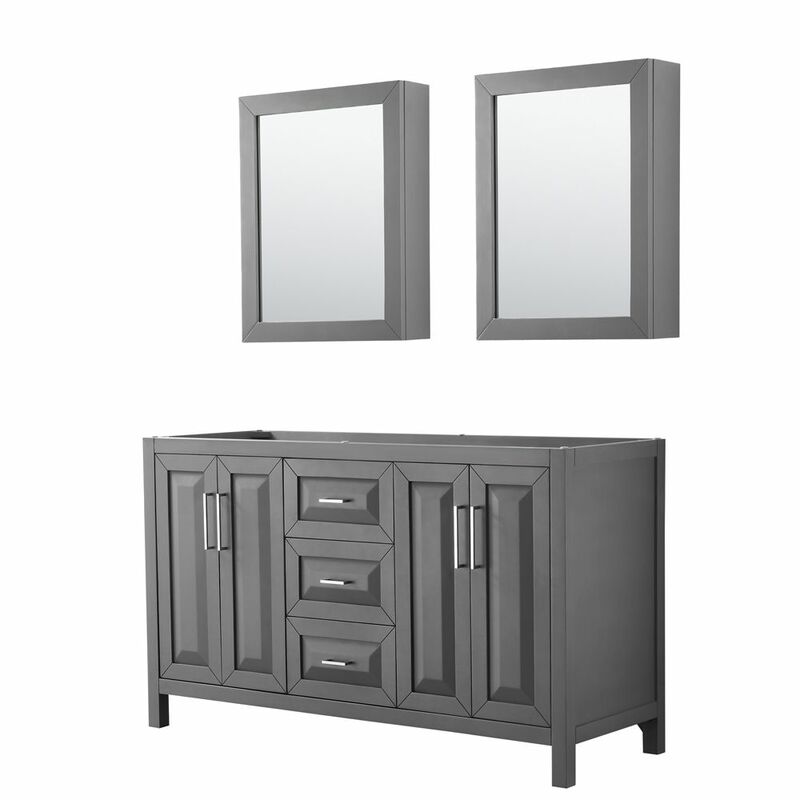 Daria 60 inch Double Vanity in Dark Gray, No Top, No Sink, Medicine Cabinets The beautiful Daria collection vanities stand out in any bathroom with strong, clean lines and elegant raised panels. There's plenty of cabinet space, the fully extending drawers are dovetail construction, and chrome detailing completes the look. Daria vanities deftly combine the function of today with a nod to the elegance of the past. It's the new modern classic styling with a contemporary twist.